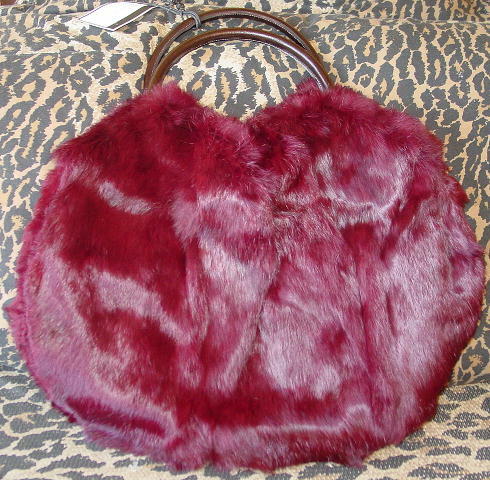 This never-used gorgeous dark red-wine soft rabbit fur hobo style purse was handmade in Italy by Elena Girardi. 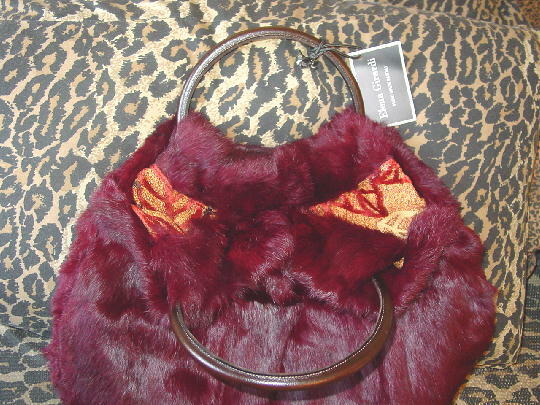 It has 15" long dark brown leather-covered wooden O ring handles. 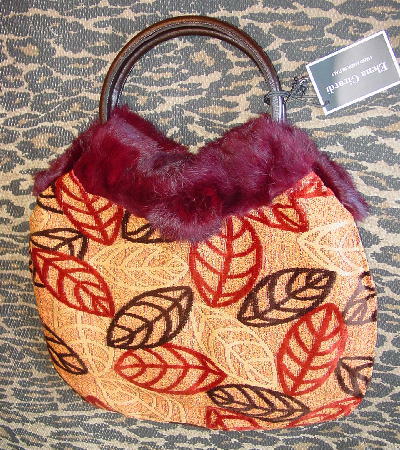 The purse is reversible with a nubby textured fabric in brown, orange, and honey with elevated line designs in burnt coral and dark brown velour fabric. 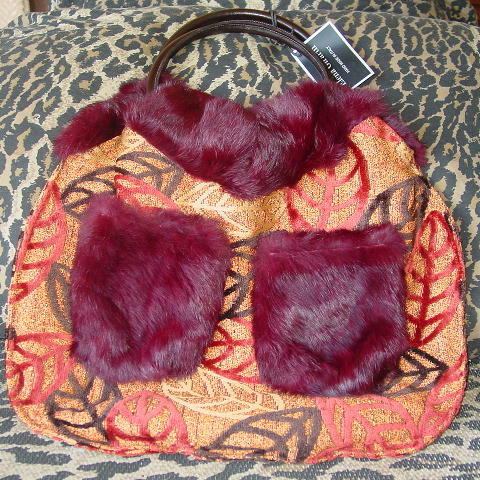 The fabric side has fur trim at the opening and has two fur pockets with fabric lining and magnetic closures. 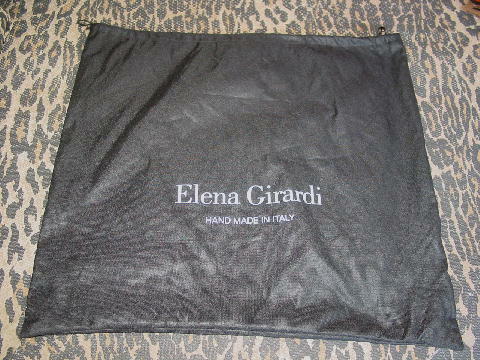 It has a 22 3/4" by 21" black bag with black drawstrings and Elena Girardi Hand Made in Italy in white letters. 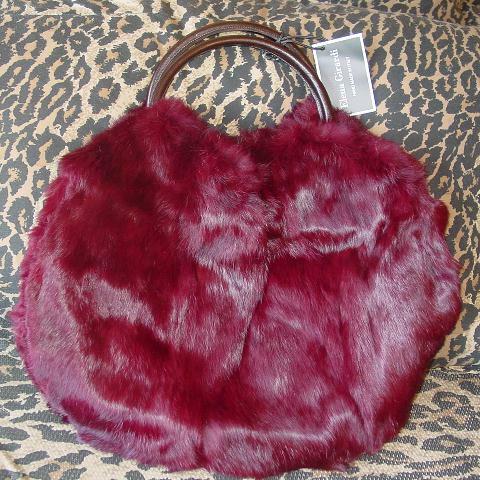 She bought several in different colors, but not all were used in the photo shoots. The original price was $500 plus tax.